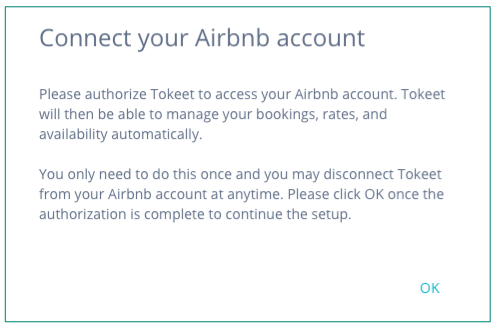 Connecting your Airbnb and Tokeet accounts is easy and effective. 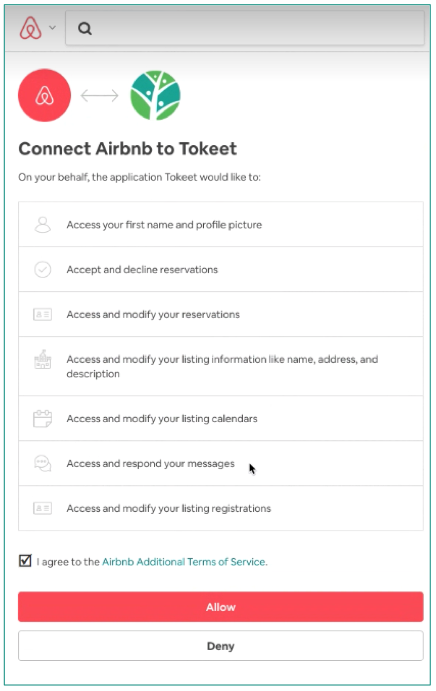 Once connected, Tokeet can automatically update your Airbnb availability, import bookings from Airbnb, and allow you to message your Airbnb guests directly from within Tokeet. You may also create listings and manage your listing settings from within Tokeet. 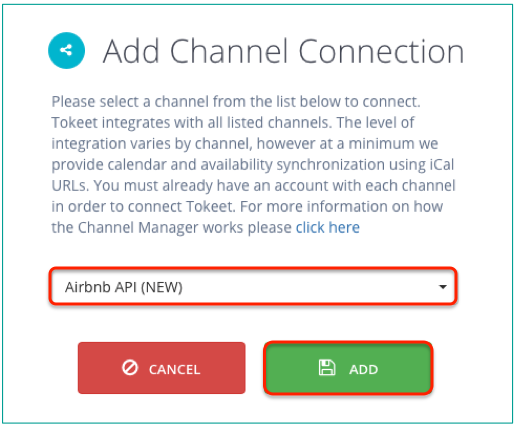 In the list of Channels, select Airbnb API (NEW) then click "Add". 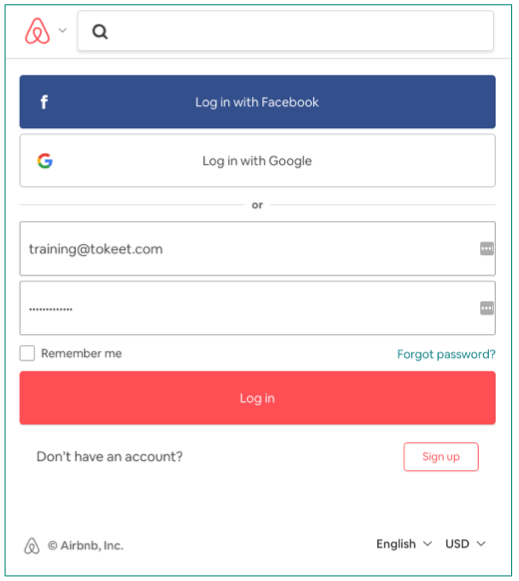 Enter your Airbnb login credentials to initiate the connection. This screen will not display if you are already logged into Airbnb in your browser. Click the checkbox next to the text "I Agree to Airbnb Additional Terms of Service". You will now receive a message confirming that the connection was successful. On the popup "Connect your Airbnb Account", click OK.
That's it! 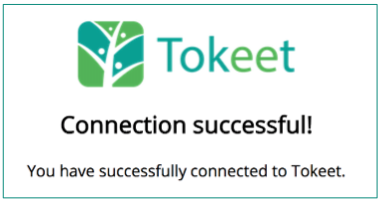 Your Airbnb account is now connected with Tokeet. You will now want to link your Airbnb listings and Tokeet rentals. 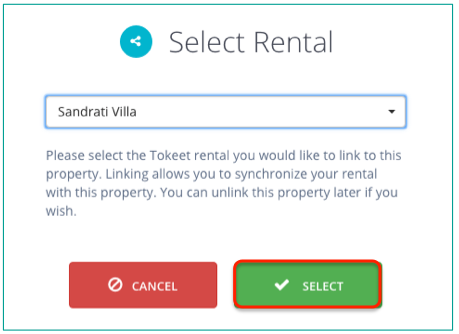 If you've already created rentals, you can link them with Airbnb listings--or you can create new rentals in Tokeet by importing your Airbnb listings. Please note that if you have any properties that you are attempting to link that you wish to remain unlisted you will need to use the button at the top that says Visible to Hide the Listing which will change the status from Listed to Unlisted on AirBnb. Any new connections with the AirBnb API are automatically turned to visible, so you will need to make this change on any listings you wish to remain unlisted. Scroll down to connections where Linked Rental is "none". Click the edit (three dots) icon at the right of desired row, then select "Link". Pick an existing Tokeet rental and click "Select". 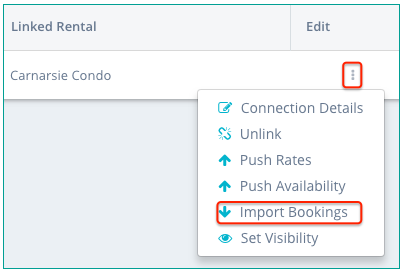 Import events from your Airbnb calendar into Tokeet, by clicking edit (three dots) then click "Import Bookings". 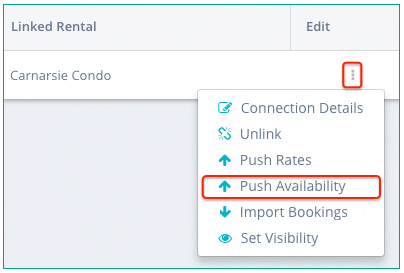 Update your Airbnb calendar from Tokeet, by clicking edit (three dots) then selecting "Push Availability". 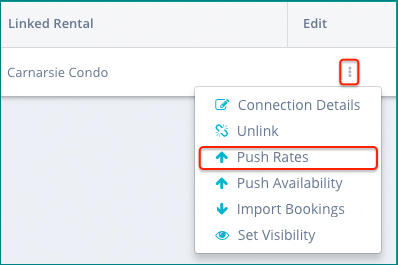 Push your rates from Tokeet to Airbnb, by clicking edit (three dots) then selecting "Push Rates". Click the edit (three dots) icon to the right of it and select "Import Property". Import reservations from your Airbnb account into Tokeet, by clicking edit (three dots) then selecting "Import Bookings". Once you have completed the steps above and connected to the New AirBnb API please note that it will be necessary to go into each rental's rates and payments screen and create new Rate Mappings that push the rates set in Tokeet to AirBnb via the new API. Rate Mappings made previously for the old API will result in an error when trying to push rates.